Bylaws and shareholder agreements are two very different things. A corporation's bylaws set out the day-to-day operations of the organization; they also include extensive rules pertaining to committees and the board of directors, among other things. Shareholder agreements address the respective rights of minority and majority shareholders regarding equity shares and the sale of equity. Corporations are required by law to register articles of incorporation with the secretary of state where the organization is domiciled. Articles of incorporation are different than bylaws in that they provide basic information regarding an organization's purpose. However, bylaws are comprehensive and provide detailed information about how the organization is to be run. Bylaws can be amended using an internal process, while amending articles of incorporation involves filing the amendment with the secretary of state. Although bylaws vary from organization to organization, they typically contain a few of the same basic elements. Bylaws often state the name and purpose of the organization. Bylaws typically address the duties of the board of directors, the amount of directors on the board, the minimum qualifications required for each director and how vacancies are to be filled. Bylaws also frequently contain information pertaining to special committees. For example, the duties of the executive committee -- which often makes recommendations to the board of directors -- are typically addressed in an organization's bylaws. Lastly, bylaws usually address meetings; this includes when meetings are to be held and who must be present. Shareholder agreements are contracts between shareholders -- usually founding members of a business entity. These agreements explain the rights and responsibilities of the shareholders regarding equity share and transfer. For example, a shareholder agreement may include a right of first refusal provision. If so, then a shareholder who wishes to sell or transfer his equity must first give the other shareholders the opportunity to purchase his equity share. Shareholder agreements also may contain tag-along rights. Tag-along rights confer a right to minority shareholders to sell their equity if majority ownership ever changes hands. Shareholder agreements may also contain capital call provisions, which explain the duty of shareholders to contribute additional capital should the organization need it for operations. 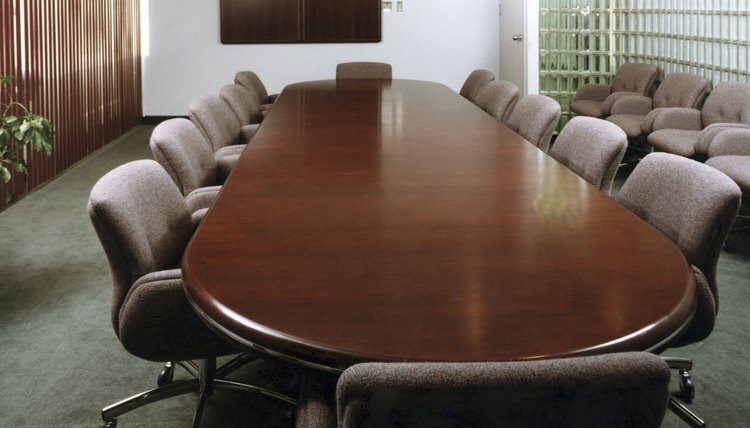 Not unlike bylaws, shareholder agreements may address who can serve on the board of directors. Although bylaws often contain information regarding how many shares an organization can issue, they typically do not address founder's equity, equity shares or what owners can and cannot do with their equity. FreeAdvice: What Are Corporate Bylaws? Bylaws act as an organization’s governing rules, and they are appropriate for many types of organizations, including corporations and nonprofits. For example, a corporation’s bylaws could determine how the corporate voting process works and how many members sit on the organization’s board. Bylaws rarely have to meet a certain format, but there are some topics bylaws commonly address.